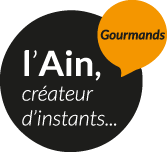 Ain promises a wide range of gourmet moments, such as at its prestigious restaurants where you can discover the many regional specialities and exceptional produce, not forgetting Bugey wine. The homeland of epicure and influential food writer Brillat Savarin, Bugey, has been characterised for centuries by its love of gastronomy and fine wine, a true art of living enabled by Ain’s passionate professionals, who will take the time to share with you their terroir: the region and its history. The region’s rich diversity of soils and exposures creates an unusually large range of wines, which have been Protected Designation of Origin (AOC) certified since 2009. From the novice to the connoisseur, there’s something to please every palate. The Vineyards & Discoveries (Vignobles & Découvertes) label contributes to promoting the area as an attractive tourist destination and recognises the quality of the services on offer. The label also helps you to organise your stay more easily, by recommending carefully selected quality services and facilities. The region's rich diversity of soils and exposures creates an unusually large range of wines, which have been Protected Designation of Origin (AOC) certified since 2009. From the novice to the connoisseur, there's something to please every palate. 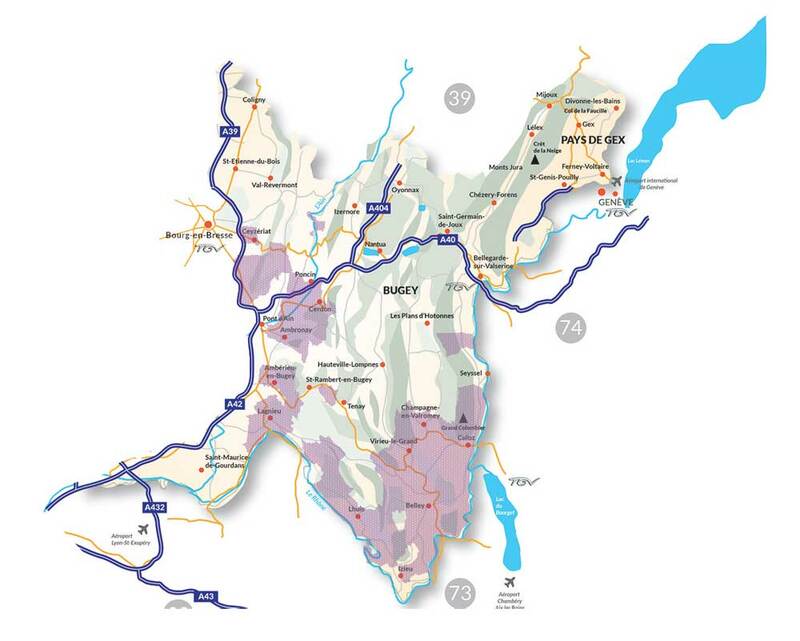 “Discover the vineyard of Bugey and its extensive range of AOC wines” The Vineyards & Discoveries (Vignobles & Découvertes) label contributes to promoting the area as an attractive tourist destination and recognises the quality of the services on offer. The label also helps you to organise your stay more easily, by recommending carefully selected quality services and facilities.